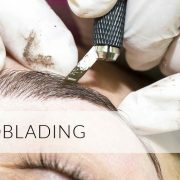 As technicians we have always had those minor obstacle that we need to overcome, it might be the drawing of the brows, losing the design as we work or just fearing your client reaction as she gets off the bed. This can only be overcome with persistence and experience, sometimes it just takes someone else to point out what your doing wrong, it can be as simple a slight movement of the wrist or a slight change in position! Needle depth, stretch or pressure. It can take years of practice to overcome some of them alone. But when someone is there guiding you, breaking those little habits can take minutes. How amazing to feel confidence in every treatment that you do, the feeling that you have finally cracked it! Everything just falls smoothly into place, showing your client in the mirror for the first time, with the confidence that she will love the work as much as you do! What Is Permanent Eyeliner How to pick a great permanent makeup practitioner?